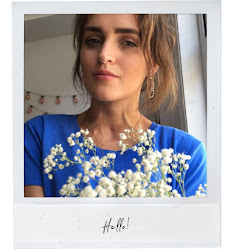 I bought this necklace from one of my favourite little shops in North Laine, they sell super cute lifestyle things and they have some beautiful jewellery too. I wasn't supposed to buying for myself but I loved it too much to leave it behind. Also, it was only a tenner! 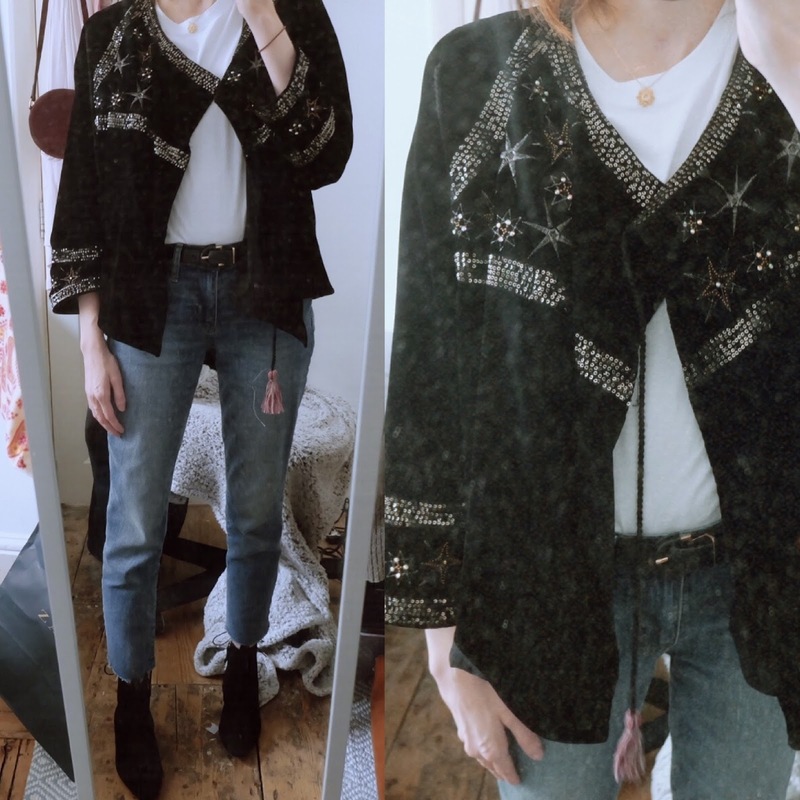 This jacket is still my favourite thing ever, ever although the one I've linked is a goodie too. Monsoon are also doing a ridiculous cape coat thing but I want it. 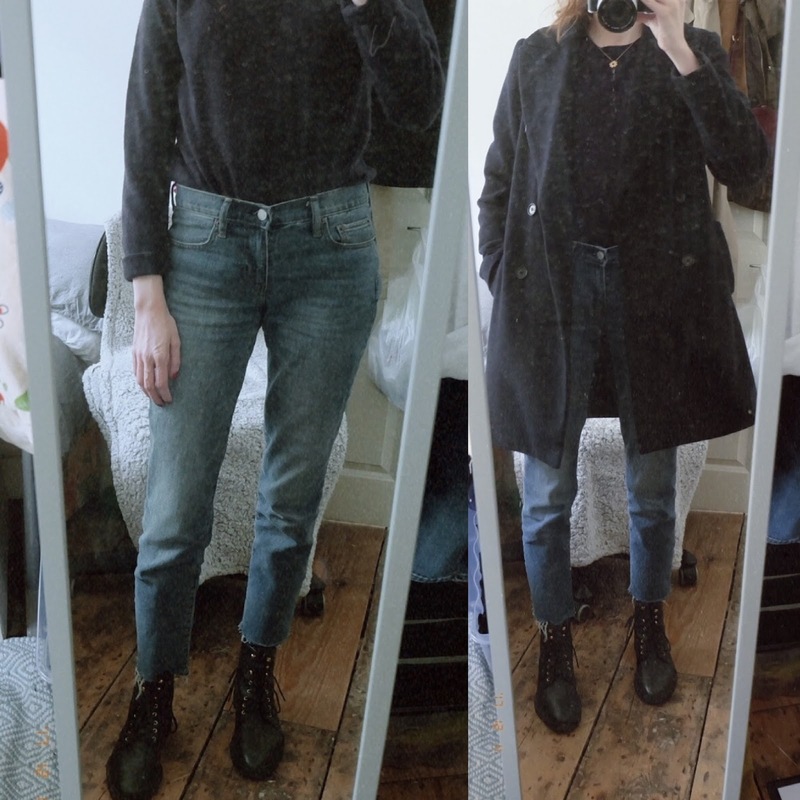 I'm extra pleased about the boots, I saw them a couple of months ago and fell in love but they were £70 so I had to try and forget about them. 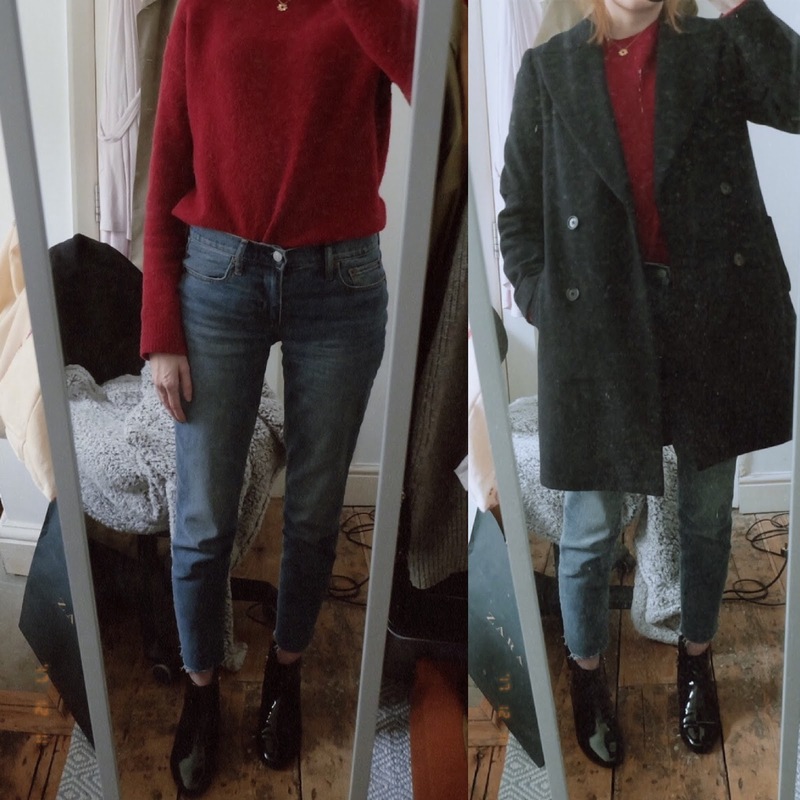 Which is good, because now they're £30 and I feel like that was a Christmas pressy from God to me so now I have the lil pixie boots of my dreams. I'll do a post on them some time so you can see them in all their glory or, y'know, I've linked them here also. Definitely feeling v festive in this jumper! No tacky Christmas knits for me thanks. 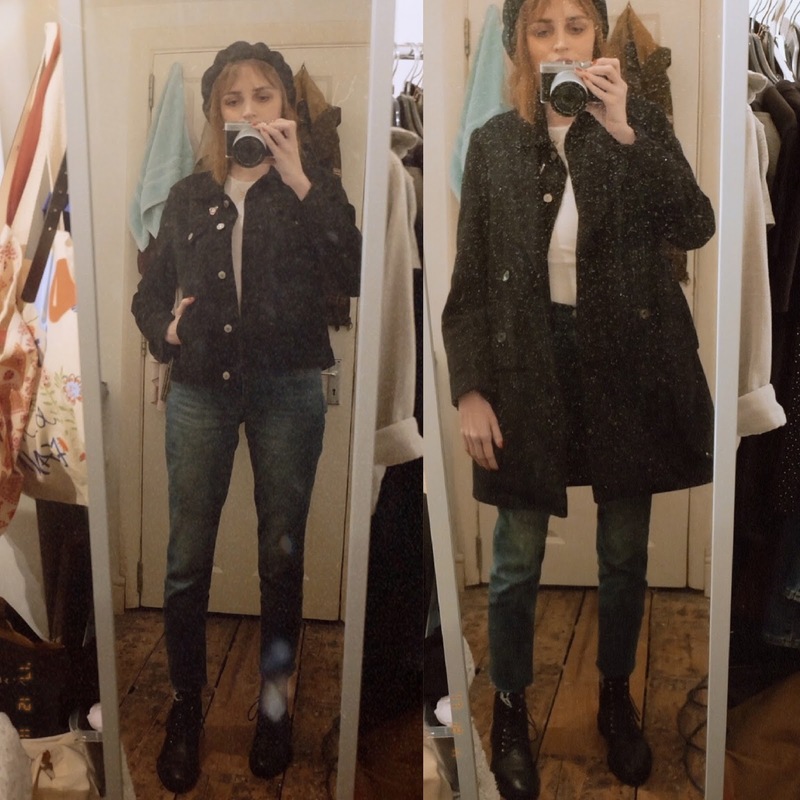 I posted about these boots already but after a few wears I can confirm they're extremely comfy considering how stiff they are and they cope totally fine with the hills of Brighton. 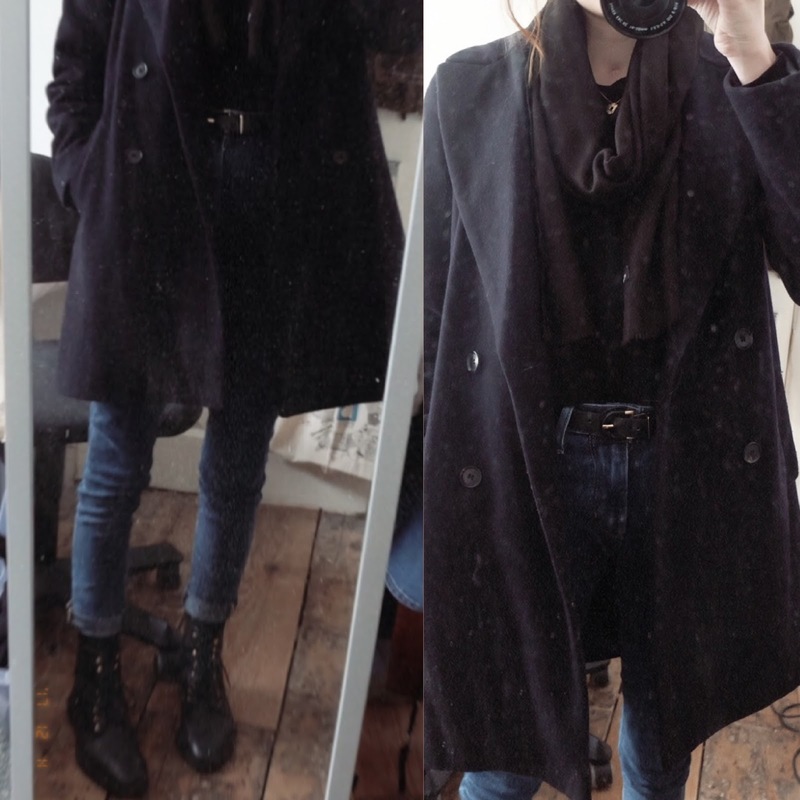 My favourite outfit of the week probably because it was the warmest/comfiest. Winning combo there! Apologies about the state of mirror, I'd like to tell you I've dusted it since but that would be a lie. I think navy blue is the colour of my soul. Isn't it the best though? Wowzers, not wearing my GAP jean for the first time this week. But I was proud of them because I cut off the ends of them without totally fooking them up. Hardly groundbreaking or difficult but listen I'm not good at stuff like ok. I know there's been a lot of repeated stuff this week but I've basically been going for the warmest clothes! 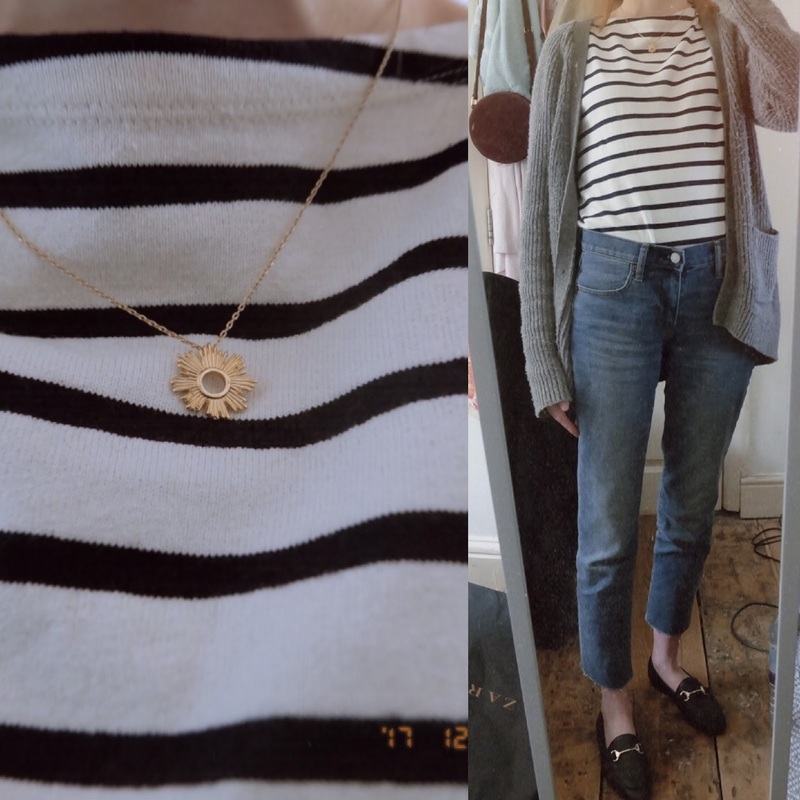 Also there is a lot to be said for having a limited wardrobe, I'm finding I'm a lot happier and more comfortable in my outfits and having more of a solid personal style rather than a mishmash.